Moving to a new place is never an easy thing – not for adults and especially not for children. There are certain circumstances, however, that require a family to move to a different location. Your children might not understand the need to do such a thing so it is your responsibility as their parents to help him through the process. Include them in your plans. Most kids live on routine and familiarity so when you are planning to move, make sure that you also consider the comfort that your new place could provide to your children. 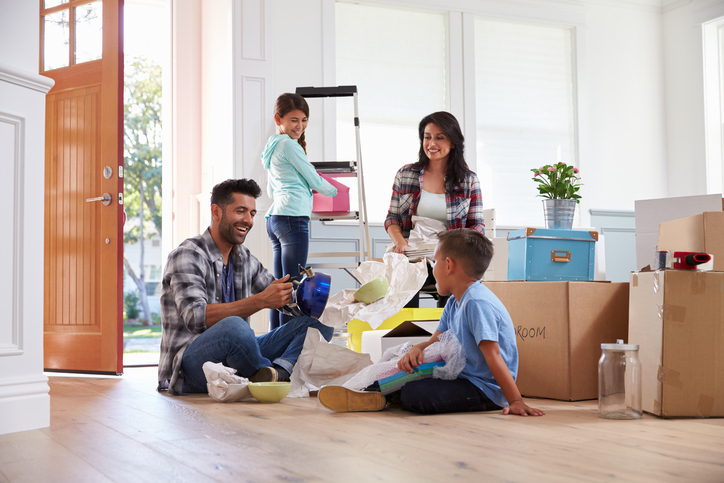 If you are going through difficult times such as a divorce or a death in the family, you might want to consider postponing the move so your children would have enough time to adjust. Discuss the details of the move properly. Sitting down with your children and having a proper talk with them can actually help. You might think that since they are young, your children would not be able to grasp the move, but preparing them for a big change actually makes a huge difference. You can give them as much information you can provide and make sure that you answer all their questions. You might want to prepare for both positive and negative reactions. Let them express their fears and angst. Your children might start voicing out their negative opinions about the move and when this happens, let them. Do not disregard what they have to say; doing so can only lead to more resentment towards the big change. It is important that you be patient with them as much as possible. Keep in mind that they live on familiarity. It is important that you see through all their temper tantrums and mood swings. Give clear instructions. Give them things to work on – this helps in diverting their fears and worries. Have them pack their belongings and make sure to let them make decisions with you – even if it is something as simple as choosing a new lamp or a new rug. Take them with you to see the new house. If your schedule allows it, you can have your kids come with you the next time you visit the new house. It helps having the kids see where they are going to be living next. If you need help in finding the perfect house for you and your family to live in next, Daniel and Bonnie Wan can definitely help you! Setup an appointment with us today. This entry was posted in Uncategorized and tagged Moving, moving tips, Real Estate Tips. Bookmark the permalink.